Four games are on the final Saturday schedule. In Saturday's first game of the day, it's number 10 visiting number 9, as the Bulldogs travel to Lexington to meet the Keydets. The Bulldogs are 3-12 on the road and are in a 8 game slide, while the Keydets are coming off a win over Mercer and have won 2 of their last 4 games. The Bulldogs won the first game in Charleston, but will lose by 7 to the Keydets in Cameron Hall. In the battle for purple supremacy, the Paladins travel up the mountain to meet the Catamounts in Saturday's second game. Furman is 3-11 in away games this season and come to Cullowhee after two road losses. The Catamounts are 11-2 in the Ramsey Center this season, and are winners in 6 of their last seven game. Furman beat the Cats by two points in Greenville earlier this season, but the Cats win on Senior Day by 5 points. In the final game of the day, the Bulldogs travel to Chattanooga to play the Mocs in the Roundhouse. Samford is 5-10 in road games this season, and is coming off a win over VMI in Birmingham that broke a three game skid for the dogs. The Mocs are 12-1 at home this season, and but are coming off their first home loss of the season, to UNCG. Chattanooga won the first game in Birmingham, and win by 15 at home. This is how we see them, what about you? There is only four games scheduled for Thursday night. The Mocs and Samford Bulldogs have the night off. The Terriers travel up the mountain to play the Catamounts in the Ramsey Center on Thursday. Wofford is 4-12 in road games this season, and is coming off a home win over Furman. The Terriers are winners of five of their last six games. Western is 10-2 in the Ramsey this season, and is coming off a road win at The Citadel. The Cats have won two straight, and five of their last six games as well. The Cats dropped a 10 point loss to the Terriers in Spartanburg on January 30, but will pull out a 5 point win Thursday night. Once again, the Cats will have Mike Young thinking, “I would rather go to hell, than go to (expletive) Cullowhee." The Bulldogs travel to Greensboro on Thursday to meet the Spartans in the Greensboro Coliseum. where the Spartans are 9-4 on the season. The Bulldogs are only 3-11 in road games, and are on a 7 game skid. UNCG has won three stright games, and are coming off a big upset, knocking off the Chattanooga Mocs in Chattanooga. Look for a 10 point win by the Spartans. 3-10 in road games this season, while the Bucs are 11-2 in games played on their home court. Furman enters the game off a road loss to Wofford, which broke a three game winning streak by the Terriers. The Bucs come into the game with three straight wins, and we look for a 7 point win by ETSU. The Bears travel to Lexington to meet the Keydets in Cameron Hall on Thursday. Mercer is 4-8 on the road this season, while VMI is 6-5 on their home court. The Bears are on a five game nose dive, while the Keydets come into the game with two straight losses. Mercer won the earlier game in Macon, but drop this one by 3 points to the Keydets. Purple & Gold's "Player of the Game" for Saturday's The Citadel basketball game is senior forward Torrion Brummitt. For the second road game in a row, Brummitt's double-double (points-rebounds) led the Cats to a 102-97 victory over the Citadel Bulldogs in Charleston. 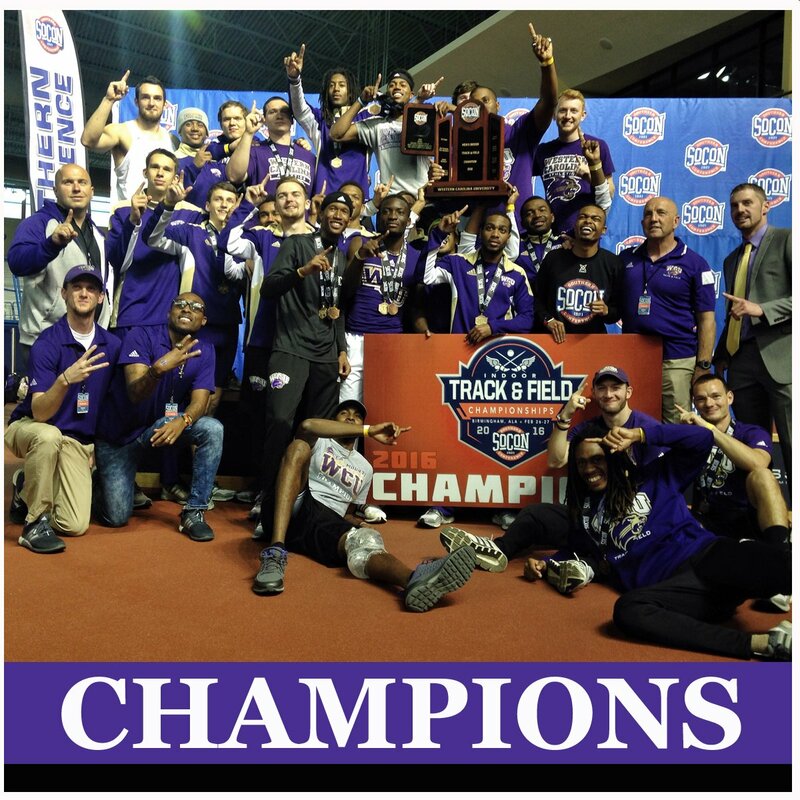 The win avenged a one point Bulldog victory in Cullowhee. Torrion scored 24 points, on 10 of 16 field goal attempts, while he pulled down 12 rebounds (2 offensive, 10 defensive) and made 3 assists, 2 steals and 4 blocks. Purple & Gold congratulates Torrion on his selection as Players of the Game. The Catamounts travel to the South Carolina low country to meet the Bulldogs on Saturday, hoping to extend their road wins to three. The Cats are 2-14 on the road this season, but are winners of three of their last four games. The Bulldogs are 5-7 at McAlister Field House this season, but are on a five game skid coming into this game. The Cats are looking to avenge a one point loss in Cullowhee (91-92) to the Bulldogs, The Cats win by 5. The Keydets travel to Birmingham on Saturday to play the Bulldogs in Hanna Center. The last place Keydets are 1-13 on the road and are coming off a road loss to Chattanooga. The Bulldogs are 5-6 on their home court, but come into the game with a three game losing streak. Samford lost to the Keydets in Lexington by 7 points, but the Bulldogs win by 10 points at home. The Bucs travel to Macon to meet the Bears in Hawkins Arena on Saturday. ETSU is 7-8 on the road this season, and are on a two game winning streak coming into this game, while the Bears are 11-2 on their home court, but have lost their last four games. The Bucs won in Johnson City by two points, but lose in Macon, as the Bears win my 3 points. The Spartans travel to Chattanooga to play the Mocs in McKenzie Arena. UNCG is 2-13 on the road this season, but is coming off a two game win streak coming into this game. The Mocs are the only conference team that remains perfect at home, 12-0. The Mocs remain perfect at home with a 15 point win over the Spartans. 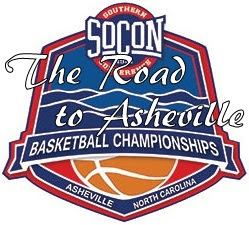 The Paladins travel north on I-85 to Spartanburg, to play the the Terriers at the Benjamin Johnson Arena. Furman is only 4-9 on the road this season, but they are 8-1 in their last nine games. The Terriers are 10-2 in the BenJo this season, and is coming off a 4 point loss to UNCG. The Terriers dropped a one point loss to the Paladins in Timmons Arena, but the Terriers win by 5 at home. That's how we see them, what do you think? Purple & Gold's "Player of the Game" for Thursday's Mercer basketball game is senior forward Torrion Brummitt. Torrion scored 15 points, on 6 of 12 field goal attempts, while he pulled down 10 rebounds (2 offensive, 8 defensive) and made 2 assists. Only four games are scheduled for Thursday night, as Chattanooga and Furman has the night off. The third place Bucs travel to the South Carolina low country to meet the eight place Bulldogs in McAlister Field House. ETSU is 6-8 on the road this season, and are coming off a home win over the Catamounts, while the Citadel is 5-6 on the home court and are in a five game losing skid. ETSU won the first meeting in Johnson City and should pick up a two point win in Charleston. Back on the road, the Cats travel to middle Georgia to meet the Bears in Hawkins Arena. 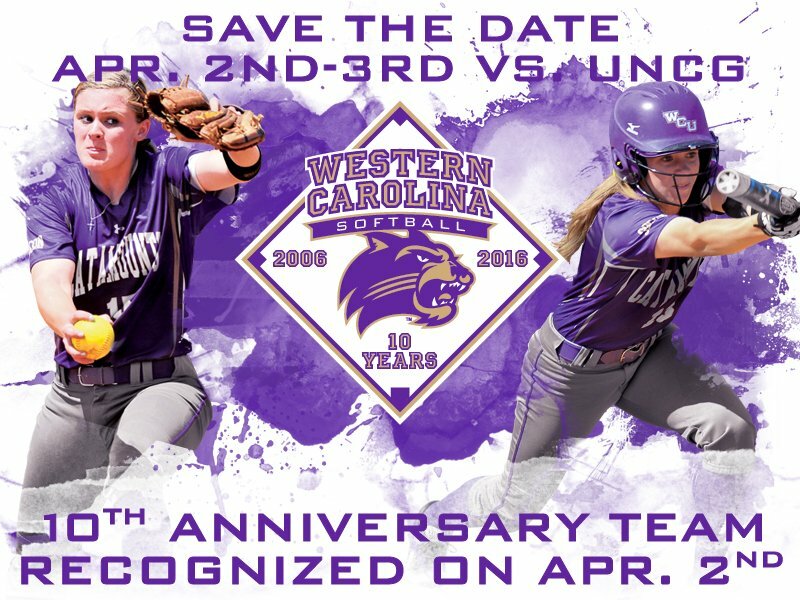 Western Carolina won the first game earlier this season in Cullowhee. The Cats are only 1-14 on the road this season, while the Bears are 11-1 on their home floor, with their only home loss to the first place Mocs. Western is coming off a road loss at ETSU, while the Bears are on a three game losing streak since that loss to Chattanooga. Mercer senior Jestin Lewis and sophomore Desmond Ringer have been suspended from the Bears basketball team for four games, and it doesn't look likely that they will return this season. The Cats are looking for that second road win of the season, and I think will find it in Macon on Thursday, Cats win by 4 points. In this game, it's the last place team visiting the first place team, as the Keydets travel to Chattanooga to play the Mocs. The Keydets are 1-12 on the road while the home standing Mocs are a perfect 11-0 in the Roundhouse this season. The Keydets are coming off a home victory last Thursday over UNCG, while the Mocs are coming off a road win over ETSU, and have won 10 of their last 11 games. Unfortunately, this has the makings of a blow-out, with a 20+ victory margin for the Mocs. The Spartans travel to Birmingham to meet the Bulldogs in the Pete Hanna Center. UNCG comes into the game with a 1-13 road record, while Samford is 5-6 on their home court. The Spartans are off a home win over Wofford on Monday night, while the Bulldogs are off a two game losing skid. The Spartans lost to the Bulldogs by 8 points in Greensboro in late January and will be looking to return the favor to the Dogs on this visit, however I think the Samford wins at home by 8 points. 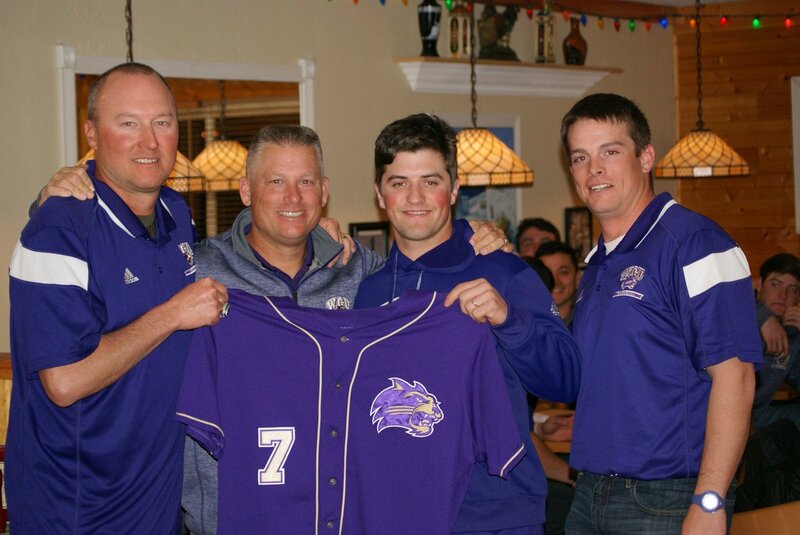 Western Carolina senior Reece Strong has been selected as this year's Leggett #7 Legacy recipient. The Richlands, Virginia native had 39 starts in the 2015 season, and saw action in 46 of Western's 51 games. He batted .254 (34-for-134) with nine doubles. Only two games are scheduled for Monday night this week, but they are critical games for the four teams involved. The Catamounts cross the mountains to Johnson City to meet the Bucs in Freedom Arena. This is a critical game for both teams, as the Bucs need a win to stay in the hunt for the second place seed in the tournament and the Cats are in a battle with UNCG for the sixth place finish and the final seed in the tournament. The Cats are coming off a three game winning streak, and are 1-13 on the road, having won their first road game last week in Lexington against the Keydets, then upsetting the Mocs in Cullowhee. The Bucs are coming off a home loss to Chattanooga, but are 10-2 on the home court this season, and have won three of their last four games. The Bucs scorched the Cats in Cullowhee earlier this season, by a final score of 66-82, which the Cats hope to avenge. With the Cats road game history, I don't think it happens this season, as the Bucs take 10 point win over the Cats. Another critical game for these two teams, as Wofford is also in a battle for the second seed, and the Spartans need a win to gain ground on the Catamounts (should they lose to ETSU) for that final seed in the tournament. The Spartans travel north up I-85 to Greensboro to meed the Spartans in the Greensboro Coliseum. The Terriers are only 4-11 on the road this season, but are currently riding a 4 game winning streak, while the Spartans 8-4 at home this season, but are riding a 3 game losing streak into Monday night's game. In my opinion, this game is a toss-up, but I'll go with a 1 point win by the Terreirs just because they are used to winning the big games.